No regularly scheduled presentations over the summer – please join us for field trips! 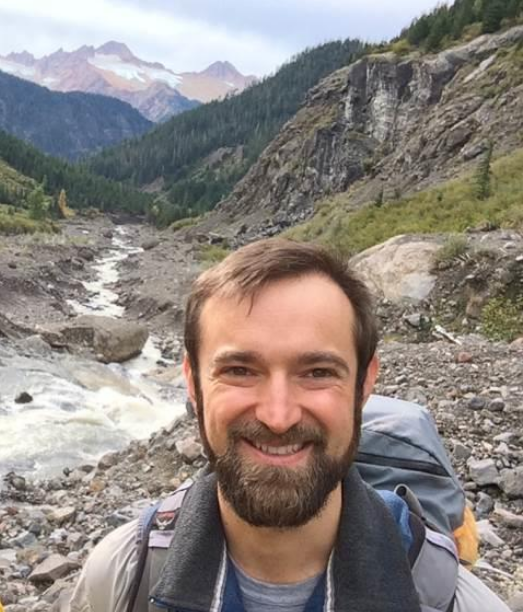 University of Oregon earth sciences professor Josh Roering will describe how using LiDAR (light detection and ranging) has enabled scientists to bypass the typical obstacles of difficult terrain and dense closed-canopy forests to map the surface of the Cascadia landscapes in amazing detail. These new discoveries add to the dynamic geologic history of Northern California, Oregon and Washington, and have profound implications for geologic hazards, habitat conservation, and natural resource management. 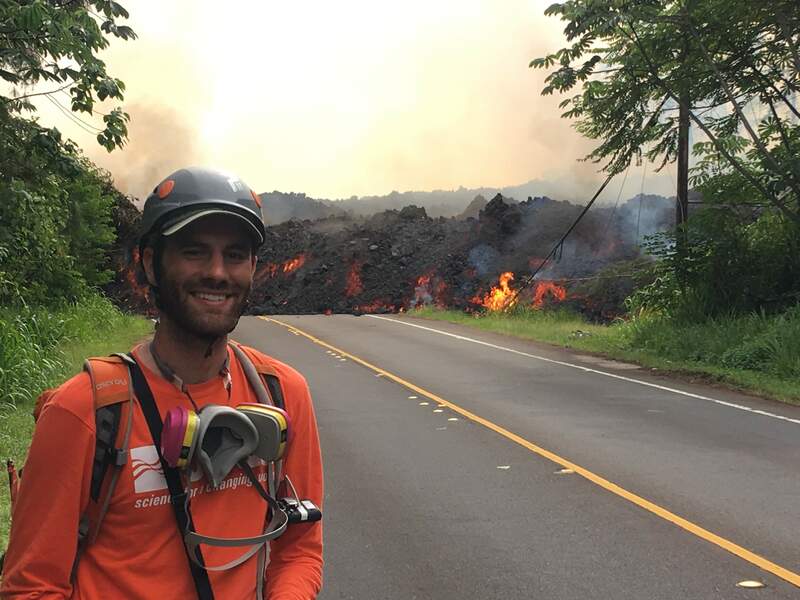 Click HERE for a recent paper in Science by Allan and others on the 2018 rift eruption and summit collapse of the Kilauea volcano. Click HERE for a video compilation from a helicopter overflight of Kīlauea Volcano's lower East Rift Zone on June 6, 2018, around 6:30 AM. The video shows the fissure 8 lava fountain feeding a channelized lava flow that travels northeast around the Kapoho cone, and then flows toward the south to enter the ocean at Kapoho Bay and Vacationland. The ocean entry has completely filled Kapoho Bay with lava, building a delta that extends 0.8 miles from shore. west end of the High Lava Plains about 60 km east of the Cascades. and the High Lava Plains influenced silicic magmatism at Newberry. With its spectacular mountain ranges, lush valleys and tumbling rivers, the Northwest landscape attracts nature lovers and travelers from around the world. But the rain-soaked coast range, snow-covered volcanoes and expansive high desert didn't appear overnight. They formed through a variety of geologic processes over millions of years. 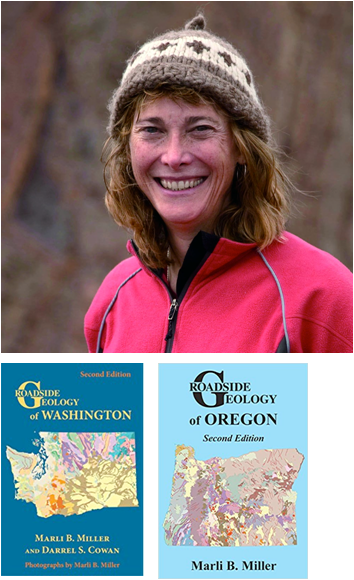 UO geologist and photographer Marli Miller will outline the geology of Oregon and Washington as seen along our federal and state highways. 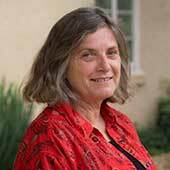 Beginning with the plate tectonic setting of the Pacific Northwest, she will describe the process of continental growth that forms the underlying but diverse "basement" of the region and is readily visible in the Coast Range, North Cascades, Okanogan, Klamath, and Blue Mountains. Following that, a photographic "roadtrip" up I-84 and Washington State Highway 14 in the Columbia Gorge will illustrate many of the younger features that make our landscape so unique. 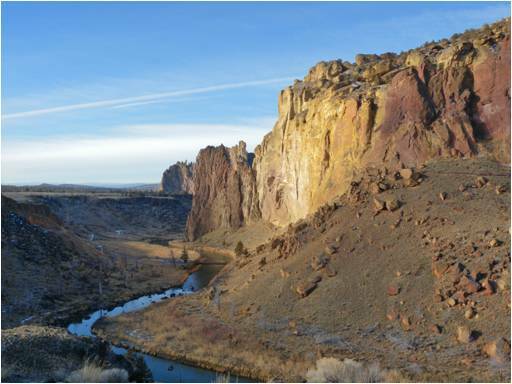 The Crooked River caldera is a 26-mile long, 17-mile wide volcanic depression formed through a series of super-volcanic eruptions between 29.7 and 27.5 million years ago. Eruptions from the Crooked River caldera deposited massive volumes (>140 cubic miles) of tuff and rhyolitic lavas, dikes, and domes. All of these volcanic features are now well exposed in the rock walls of Smith Rock State Park. Current research suggests that the Crooked River caldera records some of the oldest caldera-forming eruptions related to the passage of the Yellowstone volcanic hotspot from the coast of the Pacific Northwest to the modern Yellowstone caldera in Wyoming during the past 50 million years. Jason’s talk will focus on regional tectonic models and geochemistry linking the Crooked River caldera to the Yellowstone volcanic hotspot. 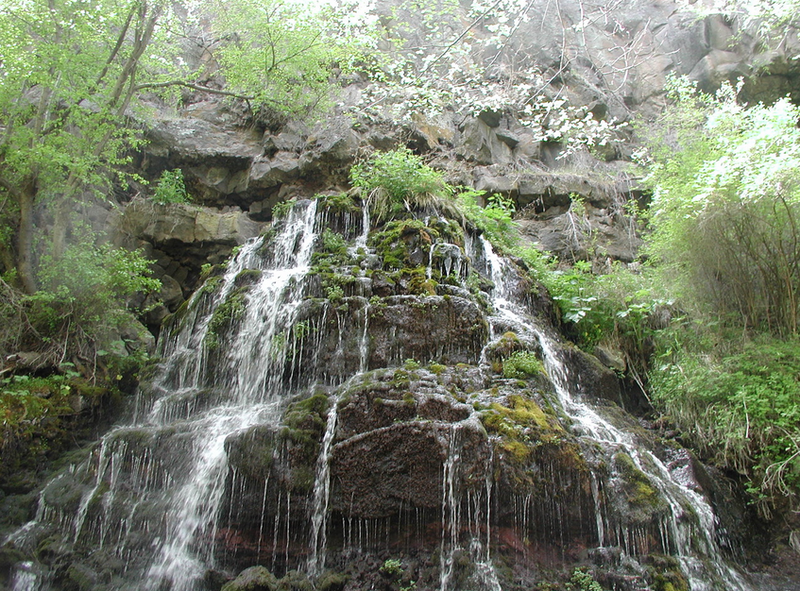 Groundwater is critical for humans and ecosystems in central Oregon. The volcanic geology of the Deschutes and upper Klamath Basins is widely known to host substantial regional aquifer systems that store and transmit large volumes of groundwater that supports year-round flow to many streams. What is less well known is that there are smaller-scale local aquifer systems that exist in the region as well, and that there are unique groundwater-depend ecosystems associated with these different scales of groundwater flow. 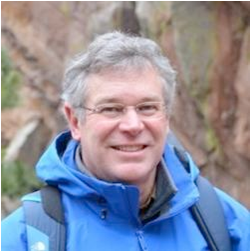 Marshall Gannett will describe the groundwater hydrology of central Oregon, focusing on the upper Deschutes Basin, and discuss recent research aimed at understanding groundwater-dependent ecosystems and the sensitivity to climate change. at Newberry, and some of the difficulties these projects have encountered in producing geothermal power. Mount Hood is an active subduction zone volcano, and is the site of the most recent volcanic eruption in Oregon. The volcano is also deeply embedded in the social and recreational fabric of the state of Oregon, but despite the iconic profile details of the inner workings of Mount Hood have been quite poorly known. 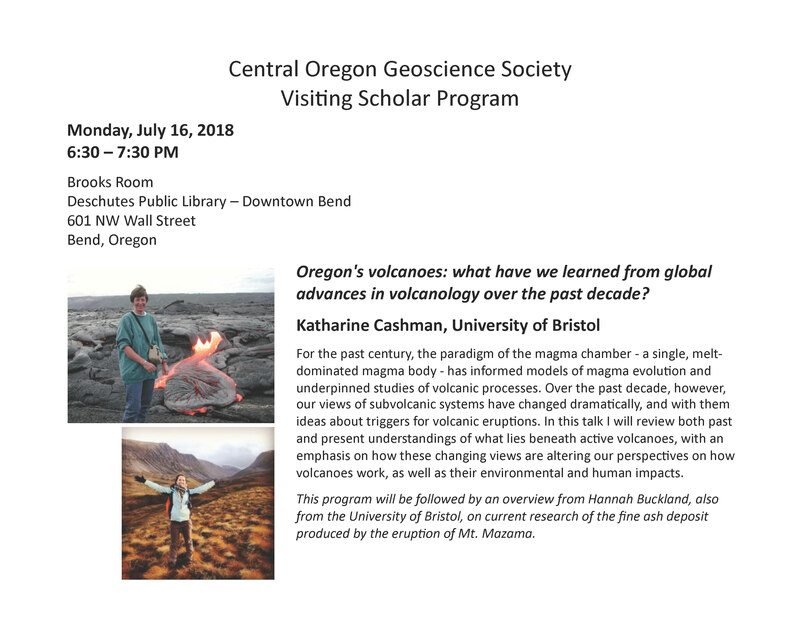 Adam Kent will present new research that sheds light on past and future volcanic activity at Mount Hood, with a focus on the clues that can be extracted from studying the erupted rocks themselves. Oregon has been slowly rotating clockwise over geologic time. Coast Range basalt of the Siletz River Volcanics, about 50 million years in age, are rotated about 75°, whereas younger flows of the Columbia River Basalt (16-12 million years in age) exposed in the Coast Range are rotated about 20°. Rotations are largest along the coast and decrease inland. Northeast-directed subduction of the Juan de Fuca Plate beneath the continent drags the leading edge of Oregon northward, producing a clockwise shear in the continental plate. 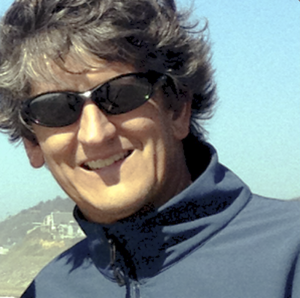 Ray Wells will present current understanding of active tectonics in the Pacific Northwest and the role that crustal rotation plays in the Cascade volcanoes and in shallow crustal faults in the Northwest urban corridor. The COGS Visiting Scholar Program is an open invitation to scientists who are visiting central Oregon and would like to present their research to the community. Although we try to schedule these programs in advance, many of these opportunities come up on short notice based on the travel schedules of visiting scholars.  All Visiting Scholar presentations will be posted as early as possible on the COGS website, and will be announced via email. Stay informed on our Visiting Scholar Program by becoming a member of COGS, or by signing up for our email list.